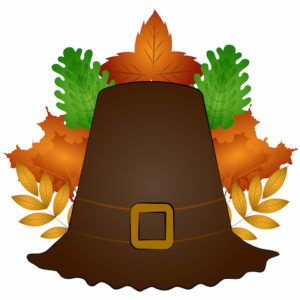 Did you know that the first Thanksgiving in America lasted three days? If that were the case today, I guarantee you my pants would not fit after day 3! But seriously, the first Thanksgiving was a three-day celebration to which they shared their gratefulness for a successful first harvest in the new land. If you would like to celebrate Thanksgiving but really don’t feel like cooking or cleaning up, then you may want to consider a restaurant in Sarasota or Bradenton for your Thanksgiving meal. You’ll find some of the best places to enjoy Thanksgiving dinner in the Sarasota area here. Since the season is almost around the corner, our restaurants start to fill up quickly, so reservations are recommended. If you are looking to have a meal delivered, or maybe just pick up desserts, you will find that information here as well. Enjoy! Chart House: 201 Gulf of Mexico Drive, Longboat Key, 941-383-5593. Want to have Thanksgiving dinner waterfront? What could be better than dinner with a view? Then come to Chart House. They will be serving a traditional Thanksgiving feast that many have raved about in the past. You can make reservations online or give them a call. Seasons 52: 170 University Town Center Drive, Sarasota, 941-702-9652. Serving Thanksgiving Dinner until 8 PM Thanksgiving Day. If you are looking for a traditional Thanksgiving dinner with all the trimmings, don’t forget about Seasons 52. Seasons 52 is known for serving the freshest ingredients and their roasted turkey is some of the best in town. Their sommelier has even done with work of choosing the best wines to pair with dinner. Duval’s: 1435 Main Street, Sarasota, 941-312-4001. Duval’s will be serving Thanksgiving, family style complete with all the trimmings from 11:30 AM-6:30 PM. $36 per adult and Children 10 and under $24. If a traditional dinner isn’t what you want, they will also offer a special holiday menu as well. Michael’s On East: 1212 East Ave South (Midtown Plaza) Sarasota, 941-366-0007. Thanksgiving dinner will be served from 2 PM – 8 PM. 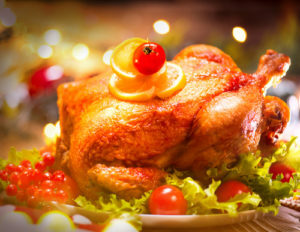 The chef will be preparing a holiday menu or you can have a traditional Thanksgiving turkey dinner for $32 per person. The Capital Grille: 180 University Town Center Drive, Sarasota, 941-256-3647. The Capital Grille just isn’t about their out of this world steak, they serve up a pretty delicious Thanksgiving dinner too. If you have never had their mashed potatoes, this is a good time to try them. Although their famous lobster mac & cheese isn’t on their Thanksgiving menu, I bet you could still get it. Adults $39, Children $15. Don’t forget to check out their extensive wine list. Der Dutchman: 3713 Bahia Street, Sarasota, 941-955-8007 10:30 AM-5 PM, This is home cooking at its finest. Thanksgiving will be served buffet style. Der Dutchman will have an extensive buffet with the traditional Thanksgiving dishes and a dessert bar. *Carry out options are also available* Growing up in northwest Indiana, always takes me back to good, homemade Amish food. You can find it here at Der Dutchman. Westin-Downtown Sarasota: 100 Marina Drive, Sarasota, 941-260-8255. I had Easter Brunch here this year and it was very good. This Thanksgiving, the Westin is having 3 seatings, Noon, 3 PM and 6 PM. 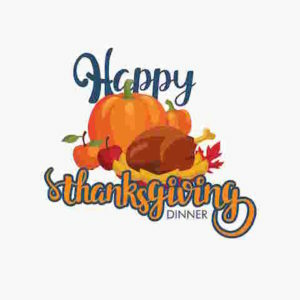 They are offering a price fixed menu that includes a traditional Thanksgiving dinner, but if turkey isn’t what you want, they are also serving prime rib and a seafood option as well. The price is $60 for adults and children is $24.95. The Ritz Carlton: 1111 Ritz-Carlton Drive, Sarasota, 941-309-2000. Are you looking to kick your Thanksgiving Dinner up a notch? Treat yourself at the Ritz for Thanksgiving. Dinner will be served buffet style in the grand ballroom from 11 AM-4 PM with live music and children’s activities too. This buffet-style Thanksgiving dinner will be sure to please. The meal plan wasn’t posted yet, but you can expect to be treated. Adults $124, Children under 12 $45. These fees do not include taxes and gratituty. Pre-order and pick up your Thanksgiving dinner in one of these Sarasota or Bradenton establishments. Enjoy Thanksgiving in the privacy of your home without cooking. Whole Foods: 1451 First Street, Sarasota, 1-844-936-2428 to order. You can order a fresh turkey or an entire holiday meal. https://www.wholefoodsmarket.com/shop/SAR/2961. Check out the offerings online. Whole Foods has options for a group as small a 4 people. Pier 22: 200 1st Ave West, Bradenton, 941-748-8087. Order your complete Thanksgiving dinner and pick it up. Jim’s Small Batch Bakery: 2336 Gulf Gate Drive, Sarasota 941-922-2253. Jim’s has their complete Thanksgiving dessert list on their Facebook page. The list is extensive and includes Key Lime Pie, French Apple Tart, and Pumpkin Swirl Cheesecake, and a whole lot more! 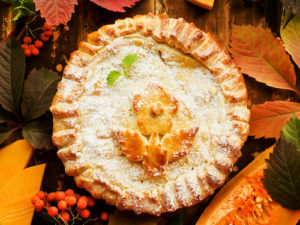 Publix: The bakery is taking orders for holiday pies. You can call, go in or order online at http://www.publix.com/products-services/bakery/pies.